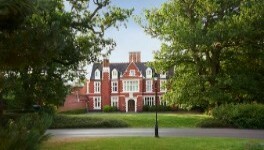 A luxury Wokningham Country House Pamper day at the Hilton St Annees Manor Hotel. Situated amid 25 acres of scenic rural countryside, the Escpape Spa at the Hilton St Annes Manor in Bracknell is the perfect location for a relaxing day away from it all. Your luxury Spa Day includes a massage, facial and afternoon tea. This is a day that is designed to relax and refresh you whether on your own or with a friend or loved one. During this 25 minute massage your therapist will ease all tension from your back, neck and shoulders using warm massage oils and expert techniques, leaving you feeling relaxed and de-stressed. Theres a restaurant serving upscale British cuisine in an old-world setting, plus a refined cocktail bar with a conservatory. This experience is for one person only, valid for 12 months from date of purchase, available Monday to Sunday. Please book in advance to avoid disappointment. This experience is suitable for men and women. Please bring appropriate swimwear. This experience is also suitable for group bookings such as hen parties. This package does NOT include use of the spa's facilities, there is a surcharge of £10 payable on the day should you wish to use these.